With over 25 years experience we can complete work to the best of standards. 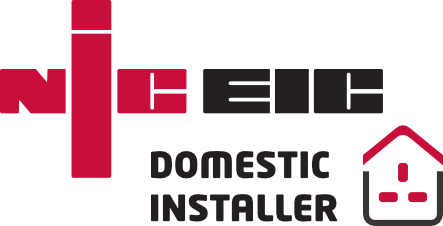 All types of domestic work such as fuse board replacement, kitchen & bathroom refurbishments, cooker & shower supplies as well as smoke alarm installations all of which are fully guaranteed by the NICEIC. We provide electrical services to all types of commercial property including electrical safety checks, emergency light testing and smoke alarm maintenance. One of our niche areas of work is providing small to medium sized offices on-site support via service contracts or as one off pieces of work. BJB Electrical Contracts has over 25 years experience in the electrical industry from socket replacement to a full building wiring from the ground up. Each task regardless of the difficulty is treated to the same excellent standard of practice. We aim to provide a prompt and reliable service throughout the Cambridge area whether through our communication of advice or on-site technical expertise we will get the job completed to the client's satisfaction. We are able to provide this level of support by handling each client on a case by case basis. Our membership of the NICEIC can provide you the confidence you need that all work we begin will be completed to the highest of standards and is covered via their legislation. For further peace of mind we cover all of our work with a full year warranty initiated the day after project completion. We are a fully registered NICEIC company providing the safety and knowledge to our clients that any work completed by us is backed by their secure guarantee.